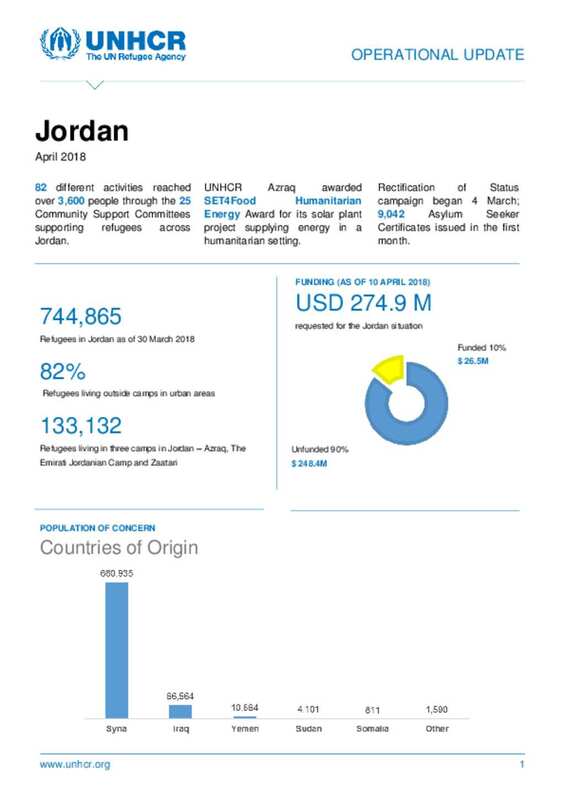 Rectification of Status campaign began 4 March; 9,042 Asylum Seeker Certificates issued in the first month. UNHCR Azraq awarded SET4Food Humanitarian Energy Award for its solar plant project supplying energy in a humanitarian setting. 82 different activities reached over 3,600 people through the 25 Community Support Committees supporting refugees across Jordan.